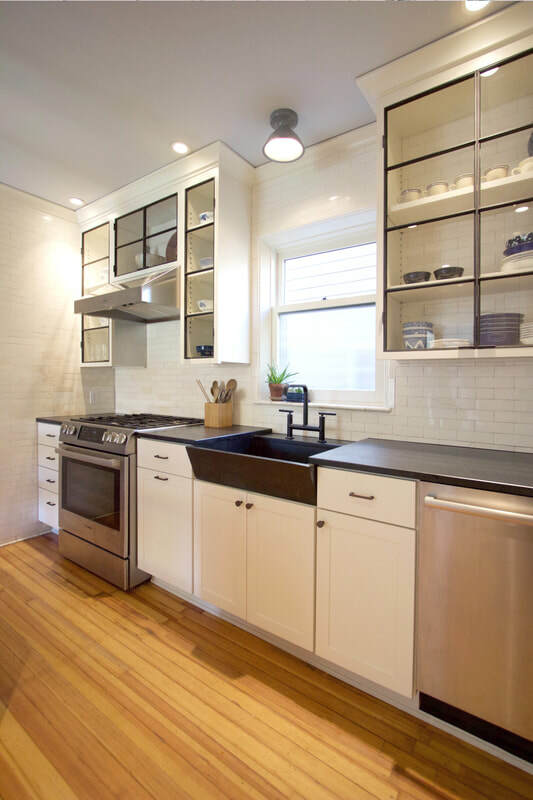 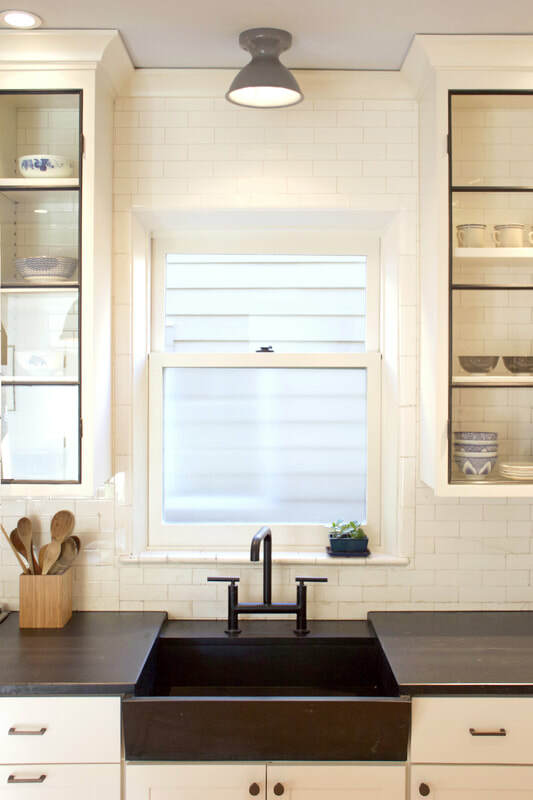 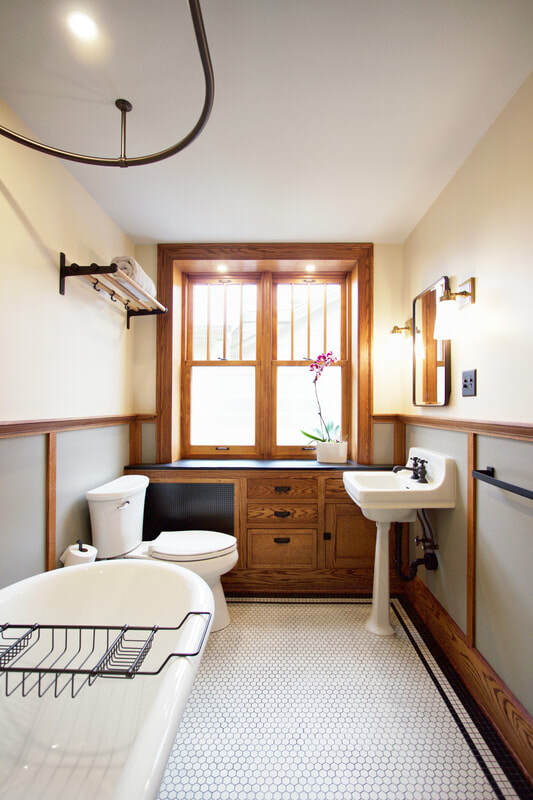 This renovation aimed to modernize the traditional "service" spaces (kitchen, mudroom, pantry, bathrooms) while highlighting original features of this Craftsman home. 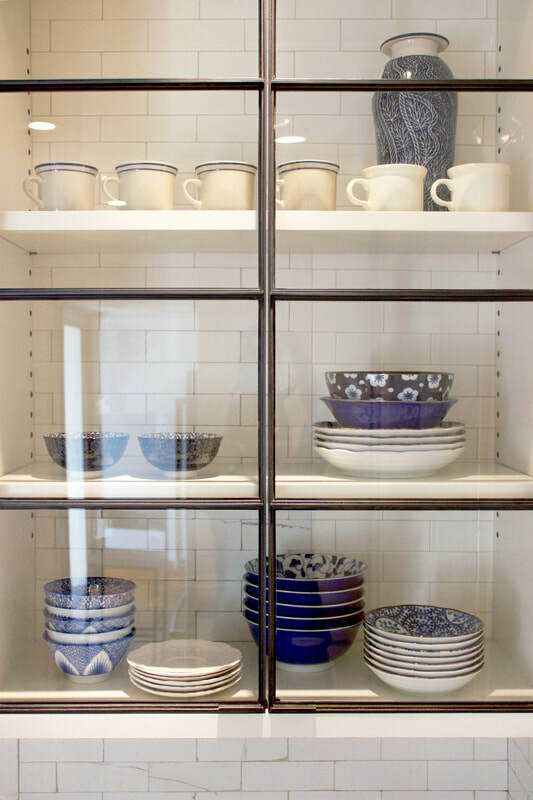 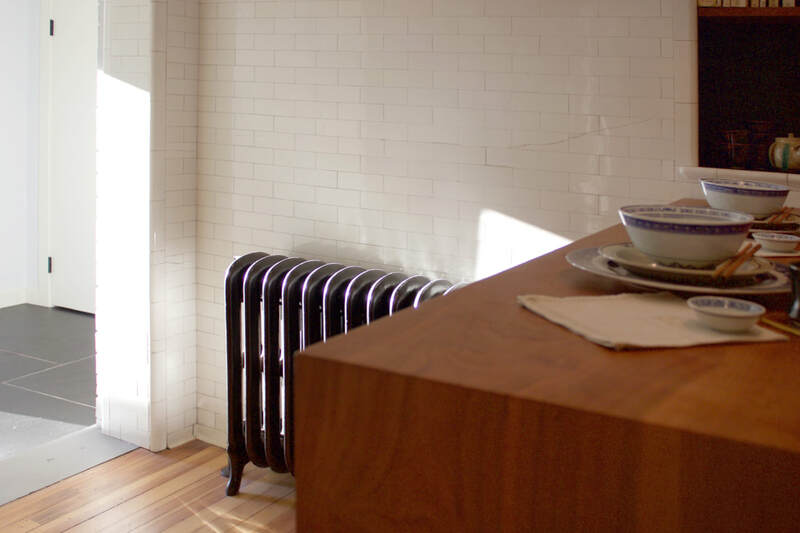 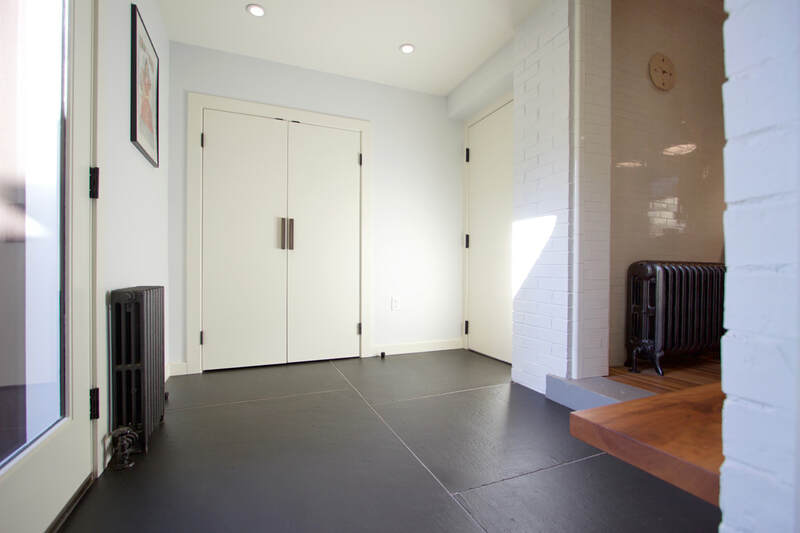 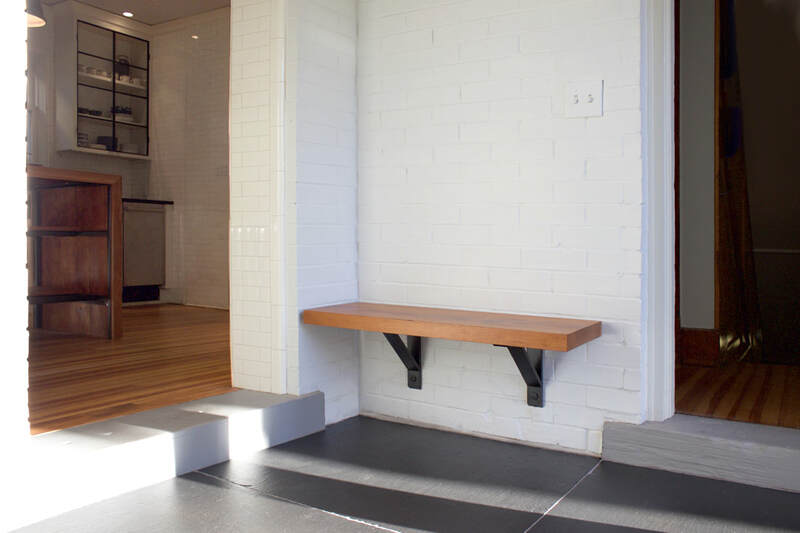 A reconfigured and light-filled mudroom leads into the kitchen where original floor-to-ceiling subway tile and pine floors were patched and restored. 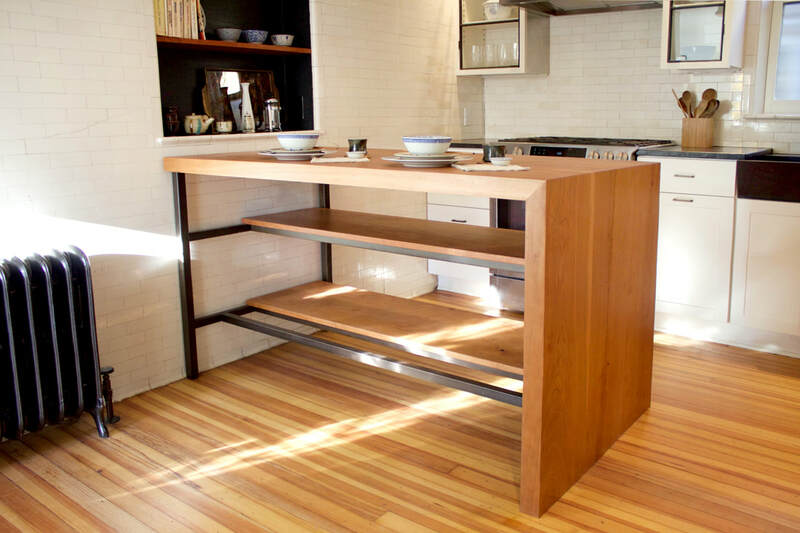 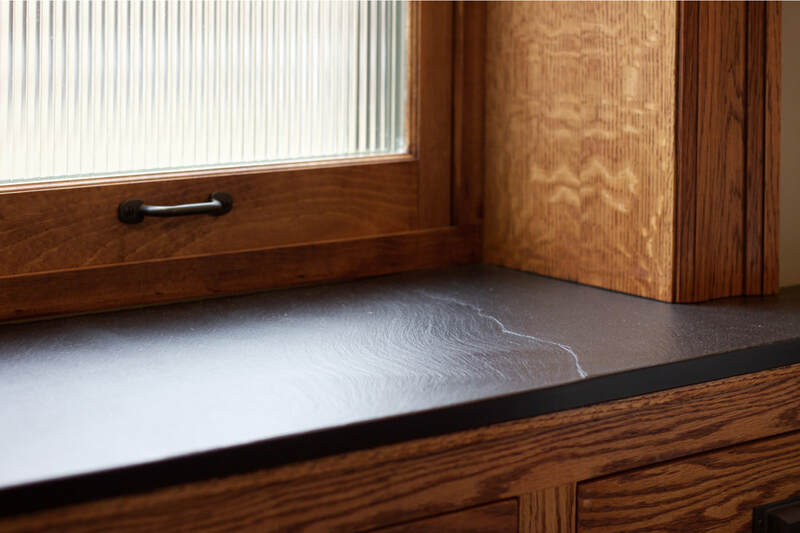 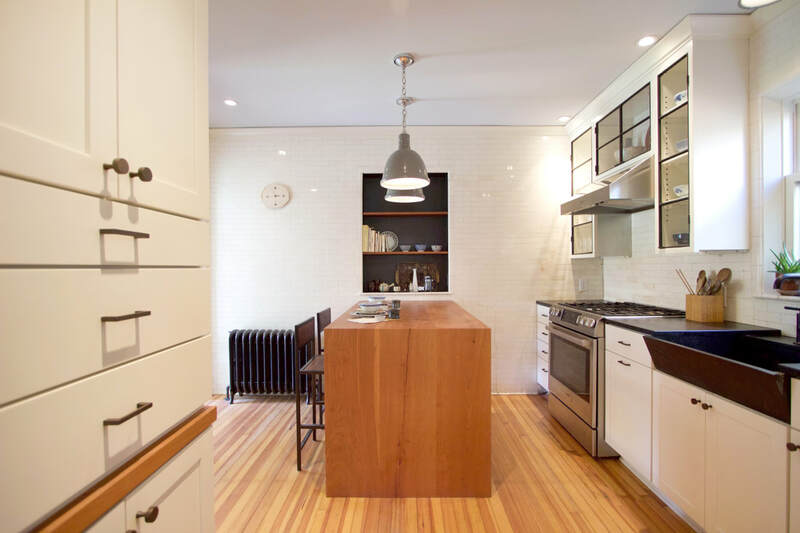 Slate and steel accents provide contrast to custom cabinetry and cherry woodwork. 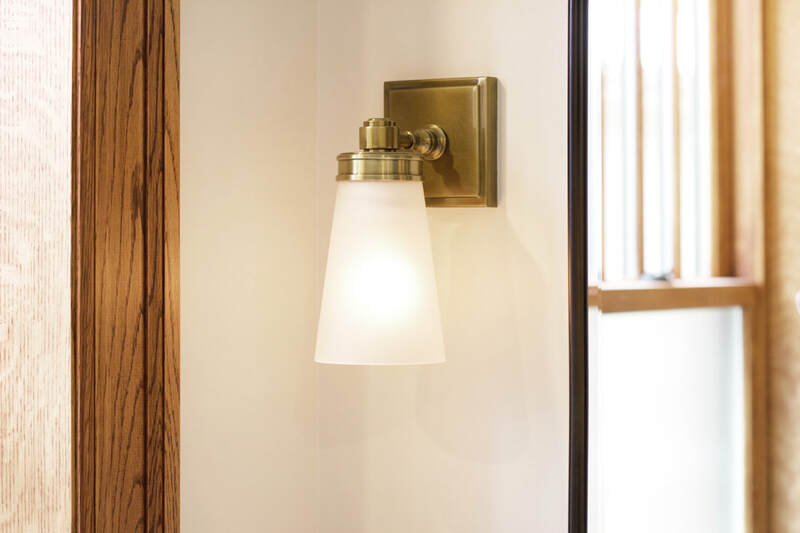 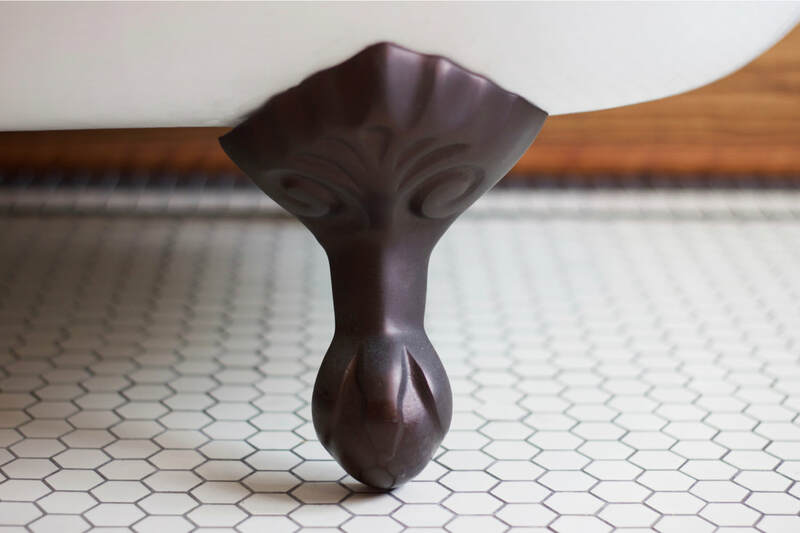 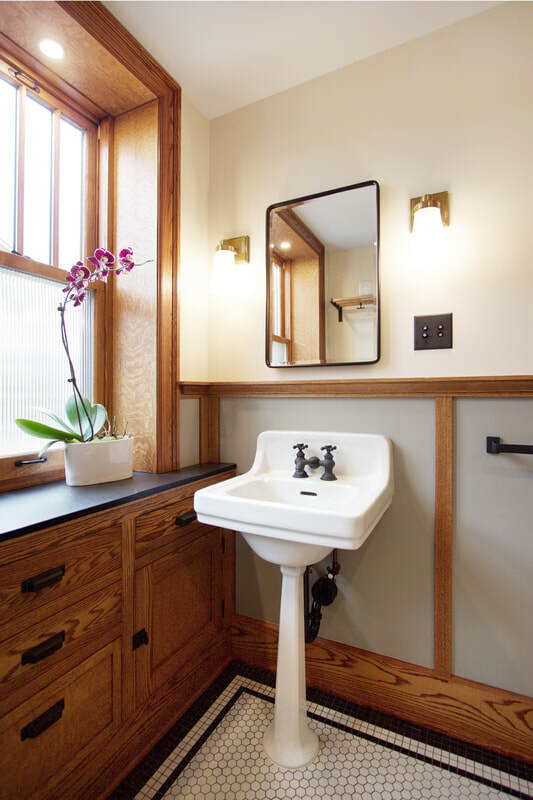 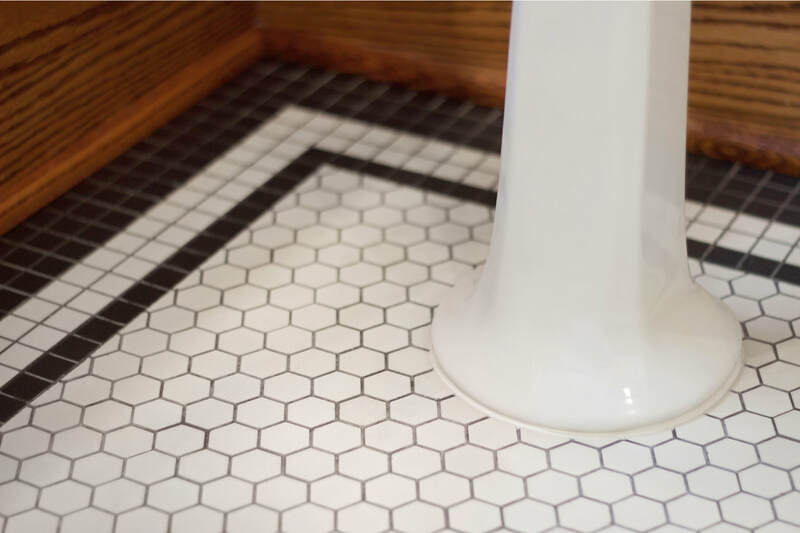 The minuscule powder room received compact, modern wall-hung fixtures alongside historic reproduction glazed tile and oak millwork to match the remainder of the house. 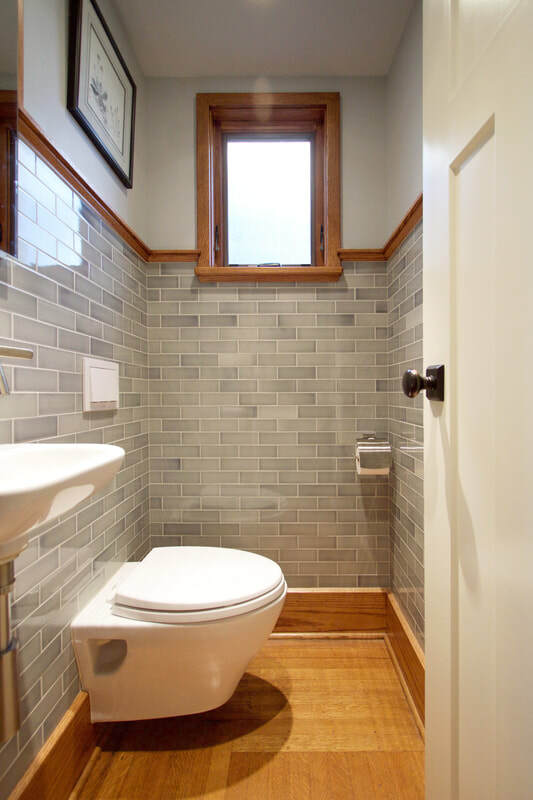 The guest bathroom received traditional finishes and fixtures, large windows, mosaic tile, a reclaimed pedestal sink, with custom oak cabinetry & millwork.